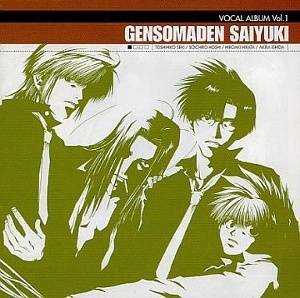 This hub is all about the three (3) music albums from the Saiyuki series entitled Gensomaden Saiyuki Vocal Album Volume 1, Gensomaden Saiyuki Vocal Album Volume 2 and Gensomaden Saiyuki Vocal Album Volume 3. If you're looking for the track list for each of these albums, then you've come to the right place. But, aside from the track lists, you'll also be seeing information on each of the songs from the albums and even some song samples. This hub also makes references to the anime Gensomaden Saiyuki since the music albums in question are part of this. 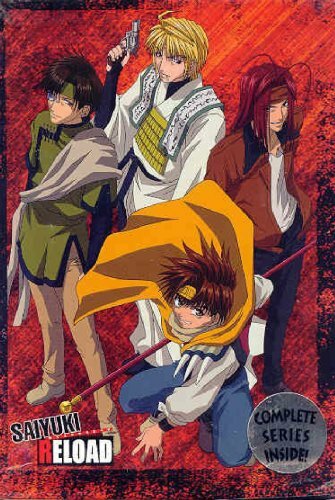 If you want more information on the anime Gensomaden Saiyuki, then look at this. You'll also be seeing mentions of the four main characters of the Saiyuki series in this hub as well as some general information on the Saiyuki series. 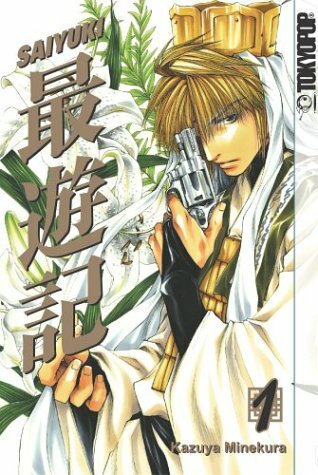 If you want to know a bit more about the Sanzo-ikkou (the 4 main characters of the series) and if you want to see an overview of all the anime in the Saiyuki series, then look at this. Don't worry about being overwhelmed with information because the above link will lead you to a hub with a table of contents so you can just choose what you want to see. The Saiyuki series has a whole lot of music and all of these are absolutely brilliant with catchy tunes and awesome melodies. The lyrics are also wonderful and meaningful. They can even be inspiring and quotable. 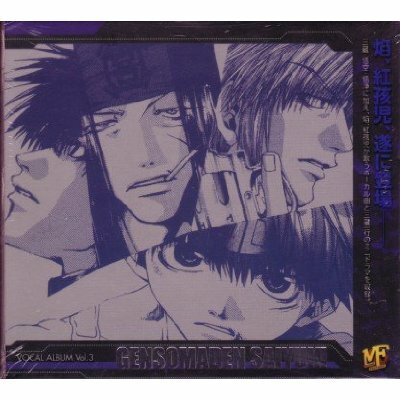 The vocal albums of Gensomaden Saiyuki feature 3 of the main characters' seiyuus (voice actors) as the singers of some of the songs. These 3 are Seki Toshihiko (Sanzo), Hirata Hiroaki (Gojyo) & Hoshi Soichiro (Goku) and they are all amazingly great singers. Listening to the songs, you will definitely hear the voices of Sanzo, Goku and Gojyo and that just adds more to the beauty of the songs. There are 7 tracks in this album but only 5 are songs. The other 2 tracks contain the voices of the main characters as they act out a scene. It's just like watching the series, only you can't see anything and you only hear the voices of the Sanzo-ikkou, which is perfectly fine since they have such great voices. This was sung by Seki Toshihiko (Sanzo), Hirata Hiroaki (Gojyo) & Hoshi Soichiro (Goku) with each of them singing a few lines by themselves and then the three of them would sing a lot of lines together, most notably the chorus. The voices of the 3 are easily distinguishable so you can tell whose voice is singing which part. The song has a nice beat to it that's not all that fast-paced but isn't too slow either. The lyrics are good with much meaning and may be referencing the Sanzo-ikkou (Sanzo's group / party, a term to collectively refer to the 4 main characters). This song also appears in Gensomaden Saiyuki Image Album Volume 1 but different song artists sung that song. We live, struggling / Where are we going? If we're alive, we'll know someday. Is there anything we can do? This is Son Goku. He looks like a kid, but he's really so much older than that. The staff he's carrying is his weapon, the Nyoibou (Almighty Staff). He loves to eat and his catchphrase is, "Sanzo, harahetta (I'm hungry)". This was sung by Hoshi Soichiro (Goku). This song also appears in Saiyuki Reload Gunlock Son Goku's Song Collection and Saiyuki Reload Gunlock Piano Supplement - Lively And Relaxed Days. From the latter album, this song is merely the instrumental piano version. This is a good song with a bit of a solemn beat to it. The melody is nice and the translated lyrics have a lot of meaning to it. The translated lyrics mentioning such things as 'longing for the sun', 'looking up at the sky' and 'freedom' seem to be in reference to Goku who used to be imprisoned in a cave until Sanzo, whom Goku views as his sun, came to save him. This is Sha Gojyo. 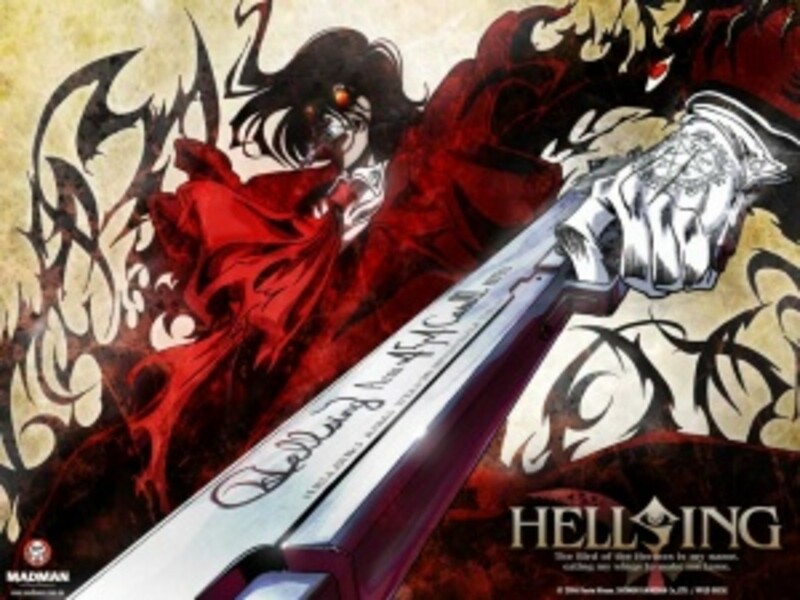 His red hair and eyes mark him as a hanyou, meaning he's half-human and half-demon. This was sung by Seki Toshihiko (Sanzo) and Hirata Hiroaki (Gojyo). It's a bit fast-paced with a catchy beat. 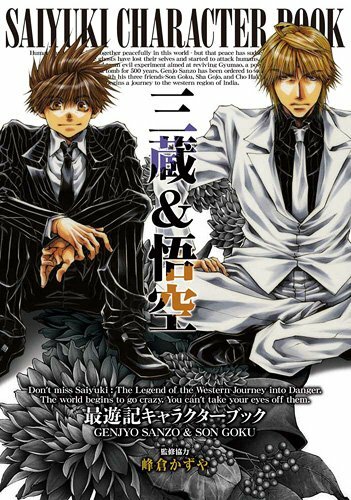 The title is definitely apt and fitting for Sanzo and Gojyo because they can indeed be classified as 'bad friends'. The 2 argue a lot and, at first glance, you might think they really don't get along, but they are friends in that they travel together and they do look out for each other. You an see this in the anime and the manga.The translated lyrics of this song also seems to reference Gojyo and Sanzo's unique friendship. People, after all, are all alone / Until you embrace someone's crimes, what do you judge? This is Genjo Sanzo. He's a monk of the highest order, but he's not your typical monk. He smokes, kills and drinks. This was sung by Seki Toshihiko (Sanzo). This song also appears in Saiyuki Reload Sanzo's Song Collection. There's a really nice tune and melody to this song. Seki has a very nice voice and you can definitely hear Sanzo singing this song. There's a lot of words sung in English like 'one more game', 'good luck', and 'good bye'. The translated lyrics has a lot of meaning to it. This may be referencing that life is like a game. 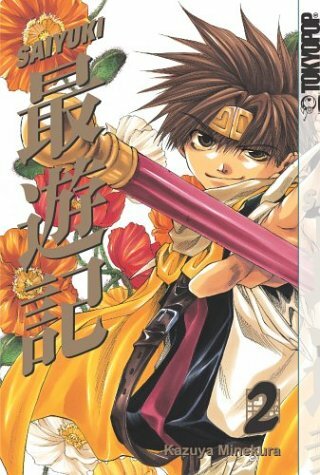 Saiyuki does have a lot of themes on life, fate and destiny. Seki Toshihiko (Sanzo), Hirata Hiroaki (Gojyo) & Hoshi Soichiro (Goku) sang this song. This song starts in a soft, solemn way. It soon picks up a bit, but retains that meaningful tone to it. The 3 singers sing some lines by themselves and sing the rest together. There are some words sung in English like 'take the blow winds'. There's a lot of meaning to the lyrics. The mention of winds, road, memory, progress and forward may well be referencing the Sanzo-ikkou's journey to the west as they face the winds of obstacles in their pathway and just keep on moving forward. There are 7 tracks in this album but only 5 are songs. 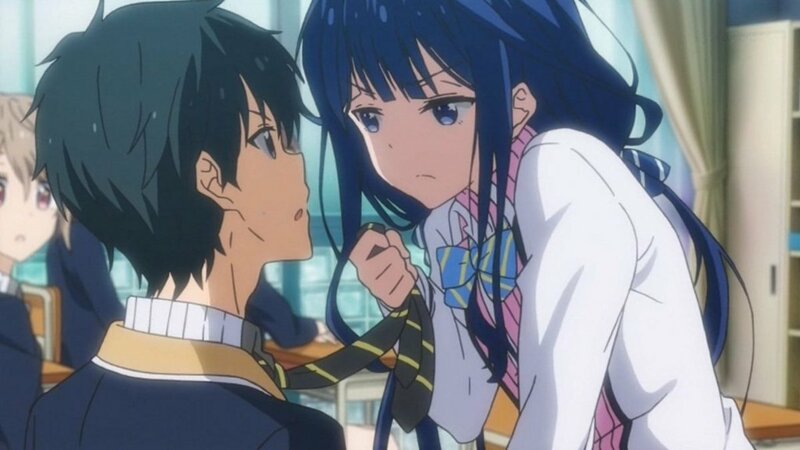 The other 2 are scenes voice acted by the seiyuus of the 4 main characters. Do you like the Saiyuki series? This was sung by Seki Toshihiko (Sanzo), Hirata Hiroaki (Gojyo) and Hoshi Soichiro (Goku). This is a catchy, lively song with a fun beat and some parts that appear to be sung in a rap style. There are some phrases sung in English like 'go through it at any cost' and 'don't overlook it'. The translated lyrics have a lot of meaning and there are many phrases that are definitely quotable. This song may reference the Sanzo-ikkou and their journey to the west as they 'go through with at any cost', meaning they continue on their travels no matter what may happen. Hirata Hiroaki (Gojyo) sang this song. This is a really great song with a nice catchy tune and a remarkable melody. Parts of this song is sung in English and this just makes the song even better. The lyrics are very meaningful. 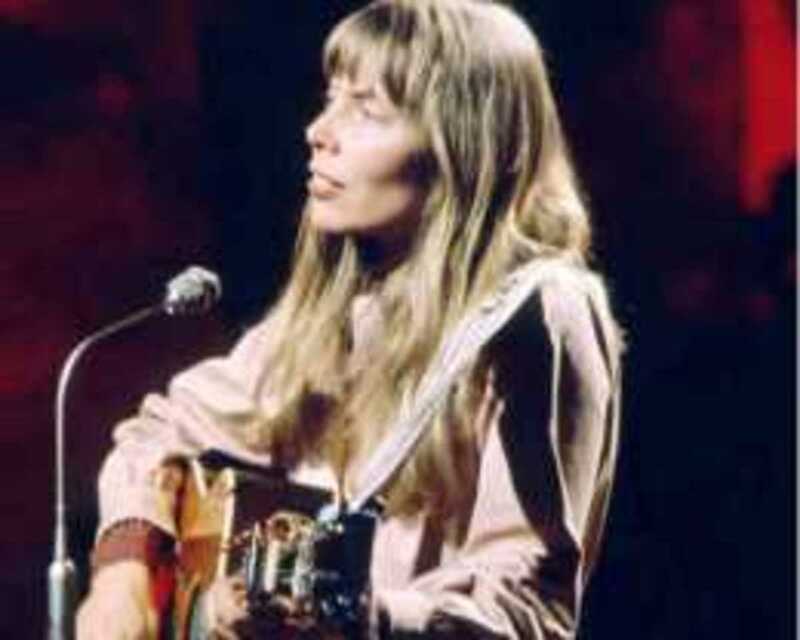 Take a look at some of the lyrics that are sung in English - 'don't try, try to pretend that it doesn't hurt' and 'you don't have to be perfect, 'cause no one can be'. This song may well reference Gojyo who has issues with his tragic past and with being a half-breed. If your tears can't stop fallin', just reach out your hand. All you gotta do is believe, just believe in yourself- and just let go. This is a duet between Seki Toshihiko (Sanzo) and Hoshi Soichiro (Goku). This song isn't too fast-paced and it has a nice melody. The translated lyrics are good too with a lot of meaning to it. With the mentions of 'if I can be by your side' and other such things, this song may reference the relationship between Sanzo and Goku. Goku adores Sanzo, looking up to him and viewing him as his sun especially since Sanzo actually saved him. Sanzo is more wont to insult Goku and say he doesn't care about him but you can tell he does actually care about Goku in his own unique way. This was sung by Seki Toshihiko (Sanzo). This song also appears in Saiyuki Reload Sanzo's Song Collection. This song has a nice melody to it that seem rather solemn. The tone of the song seems to have a sort-of Chinese feel to it. This song has great, meaningful lyrics. Here are some phrases and words from the translated lyrics - 'I wanted to protect', 'limitless strength I'm wishing for', 'being admonished', and 'only by continuing to live can you change things'. This song may reference Sanzo and his regret at being unable to save his mentor Koumyou Sanzo who was killed right in front of him. It may also refer to Sanzo who is known for saying that you can't change anything in this world by dying because your death won't change anything. Seki Toshihiko (Sanzo), Hirata Hiroaki (Gojyo) and Hoshi Soichiro (Goku) sang this song. This song also appears in Gensomaden Saiyuki Image Album Volume 1 but it was sung by a different artist (Masaki Nomiyama). While both songs have the same lyrics, they sound entirely different from each other. In this version of the song, you can distinctly hear the voices of the 3 seiyuus as they each sang some lines and sang some parts together. The song may well reference freedom, which is yet another theme that the Saiyuki series touches on. This song also appears as a piano instrumental version in Saiyuki Reload Gunlock Piano Supplement - Lively And Relaxed Days. One of the songs in this music album was sung by the seiyuus or voice actors of the Sanzo-ikkou (particularly Sanzo, Goku and Gojyo). This album contains 7 tracks but only 5 are songs. 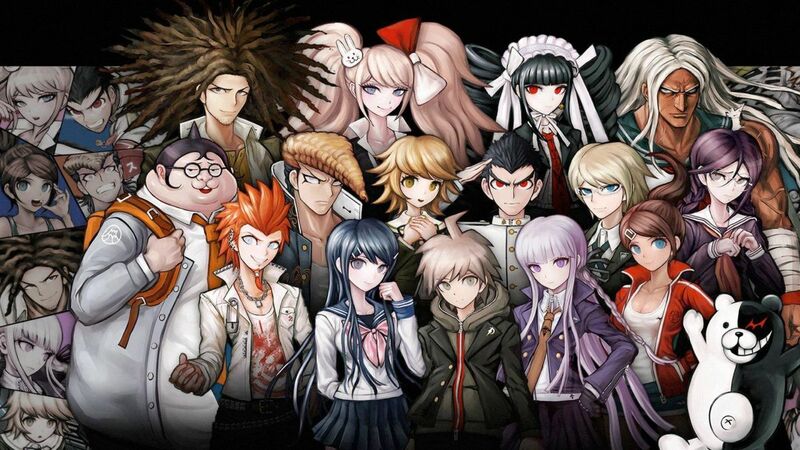 The other 2 are scenes voice acted by the seiyuus of the 4 main characters. 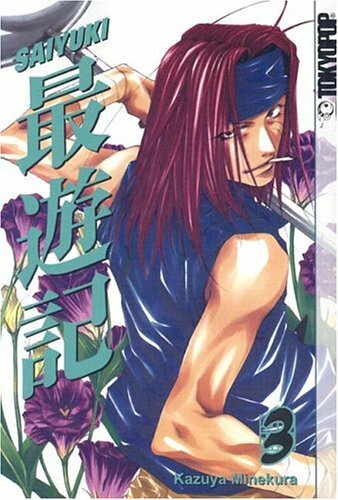 Saiyuki volume 2 manga cover. This one features Son Goku. This was sung by Hoshi Soichiro (Goku). This song also appears in Saiyuki Reload Gunlock Son Goku's Song Collection. The song is a bit fast-paced and has some parts that seem to be sung in a rap style. But the song does have a catchy tune and a nice beat to it. There are some words sung in English like 'I can flying now' and 'everything is all right'. The translated lyrics shows a lot of meaning to this song. This may well reference Goku, particularly during the time when he was imprisoned in a cave. While stuck in that cave, he couldn't go anywhere and he was all alone. He wished to fly and be free from that cave. This was sung by Morikawa Toshiyuki (Homura). Homura is the fighting war god and was one of the enemies of the Sanzo-ikkou in Gensomaden Saiyuki. This song has a light, soft beat to it that's not too fast-paced. The translated lyrics has great meaning to it with words like 'drowning in the warmth that's within reach' and 'the paradise that has begun crumbling'. This may well reference Homura who wants to destroy the world and create a new one because of how much he had suffered in this world by being shunned, used and then even separated from the one he loves. Seki Toshihiko (Sanzo) sang this song. This song also appears in Saiyuki Reload Sanzo's Song Collection. This song has a very lively beat. It starts in a fast pace from the get-go but there's nothing wrong with that. This song has a great melody and the translated lyrics are meaningful. Some of the translated lyrics says words and phrases like 'listening to a cry completely without voice', 'the calling voice', and 'if you search there, will you find only the truth?'. This may well be referencing Sanzo who claims to have heard Goku's voice calling him and that led him to the cave where Goku was imprisoned. He wanted to tell Goku to shut up and stop calling him because it was annoying him but he ended up taking Goku with him. This is Kougaiki, the full-blooded demon prince and son of the Demon King Gumaoh. He is one of the enemies of the Sanzo-ikkou though he has a reason why he's doing what he's doing. This was sung by Kusao Takeshi (Kougaiji). Kougaiji is a demon and he is the son of Gyumaoh. He is one of the enemies of the Sanzo-ikkou as he is helping Gyokumen Koushou, his stepmother, in resurrecting the demon king. This song has a very nice catchy beat to it. The translated lyrics also have good meanings with words and phrases like 'the truth that has been dirtied with lies', 'I'm going to protect' and 'my only one wish accompanies pain'. This song may well reference Kougaiji who is only working for his stepmother in exchange for freeing his mother, Rasetsunyo, who has been turned to stone. This was sung by Seki Toshihiko (Sanzo), Hirata Hiroaki (Gojyo) and Hoshi Soichiro (Goku). This song also appears in the music album called Saiyuki Reload Gunlock Piano Supplement - Lively And Relaxed Days but as an instrumental piano version. This song has a very fun and lively beat to it. It starts off almost right away with a short instrumental part. This song also appears in Gensomaden Saiyuki Image Album Volume 1 although it is sung by a different artist. The tone of both songs are different though they have the same lyrics. This song may well be in reference to the Sanzo-ikkou and their journey to the west as part of the lyrics that is sung in English says 'won't you join us?'. 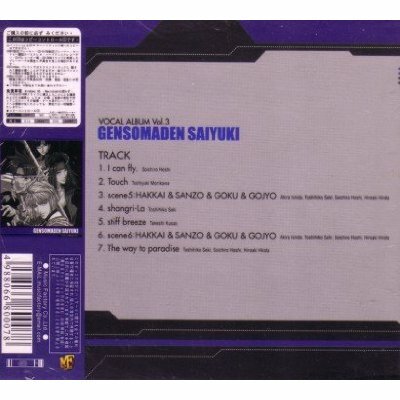 What do you think of the 3 Vocal Albums of Gensomaden Saiyuki? Check out all the great songs of the Saiyuki series. There's a whole lot of music and each of them are exceptionally amazing and fantastic to listen to with inspirational and meaningful lyrics. Saiyuki and all things related to it is copyright to Kazuya Minekura.